For nearly a century, Domer’s has been one of the biggest names in metal sales in the Okeechobee area. We’ve built a reputation as being a one stop shop for metal and fabrication needs, and we pride ourselves on being one of the only distributors to keep aluminum, carbon steel, stainless steel, galvanized piping, and brass on hand under one roof. This allows us to get you the materials you need, as soon as you need them, ensuring your projects stay on track. When equipment repairs or fabrication material needs threaten to bring your business to a grinding halt, look no further than Domer’s to keep you moving forward. Our fully stocked warehouse and ability to get anything not in stock within days means that you spend less time waiting around, and more time doing what you do best. 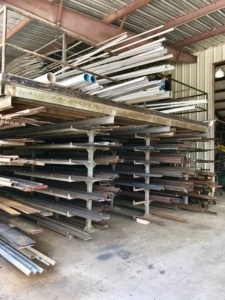 Call us today at (863) 763-3417 with any questions about your metal needs.